O albina lucratoare comunica descoperirile sale florale prestand un dans pe fagure. 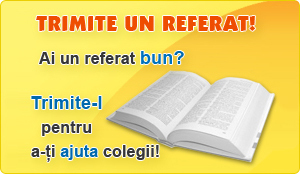 Orientarea miscarilor ei si frecventa vibratiilor indica directia si distanta pana la campul de flori. Mihai Eminescu was born in 15 January 1850 at Botosani. He was the 7th of the 11 childs of Gheorghe Eminovici. He spent his childhood at Botosasi and Ipotesti in his parent's house and outdoors, in a total freedom in moves, and touch with peple and nature. Eminescu evoked this state with deep nostalgy in his later poems: 'Fiind baiet' or 'O ,ramai'. He studies at the school of Cernauti in the 1858-1866 period and he graduates the 4th grade the fift out of 82 people. After that he studies 2 years in gimnasium, and leaves school in 1863, comes back in 1850 and leaves again in 1866. Meanwhile Eminescu was hiered as a functionary at diverse institutions in Botosani, or spends the time with the 'Tardini-Vladicescu' troupe. The year 1866 is the first year in Eminescu's literary activity. In January the same year his teacher Aron Pumnul died so his students published a broshure named 'Lacramioarele invataceilor gimnazisti' wich included the poem 'La mormantul lui Aron Pumnul' signed by Mihai Eminovici. In 9 March 1866 he debutes in Iosif Vulcan's magazine named 'Familia' with the poem 'De-as vrea'. Iosif Vulcan changed Mihai Eminovici's name to Mihai Eminescu. In the same year Eminescu published another five poem in the 'Familia' magazine. The poet made a journey on the root Cernauti-Blaj-Sibiu-Giurgiu-Bucuresti since 1866 until 1869, wich helped him to learn more about the romanian people. In this period he worked at the National Theatre where he met I.L. Caragiale. He continued to write in the 'Familia' magazine, and made some translations from German to Romanian. From 1869 to 1872 he's a student at Viena. There he met Ioan Slavici and Veronica Micle with who he starts a colaboration at 'Convorbiri literare'. From 1872 to 1874 he's an ordinary student in Berlin. He was studiing without intermitences but he didn't go to exams. In 1877 he moves to Bucharest, where until 1883 he's an editor then a chief-editor at the 'Timpul' newspaper. In 1883, stressed, the poet gets very ill, and he is hospitalized at doctor's Sutu hospital, then at an institut near Viena. In December his book 'Poezii' was published. Mihai Eminescu died in 15 June 1889 in doctor Sutu's health house ,after six years of sufference. He was burried in Bucharest, at the Belu cemitery.